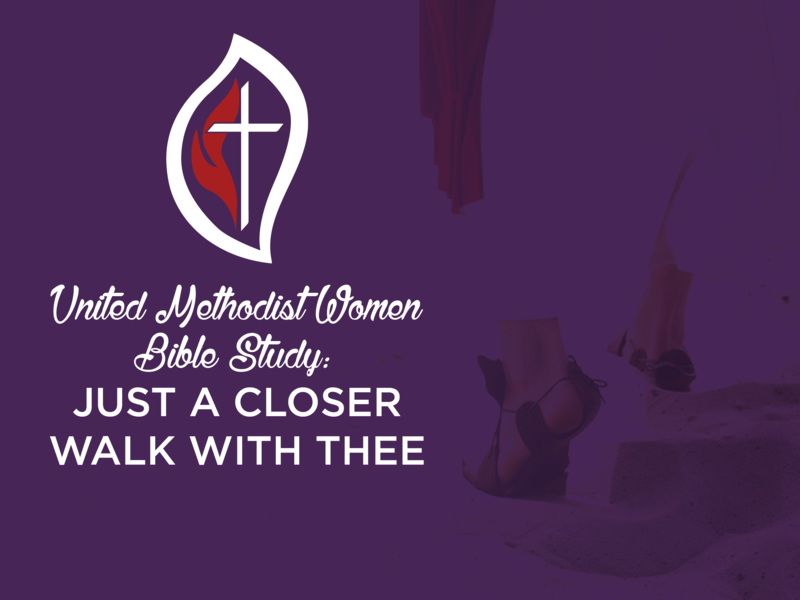 United Methodist Women (UMW) invites all women to join us as we begin a new Bible Study, “Just A Closer Walk With Thee.” We will be studying the book of John and the beautiful “I AM” statements of Jesus. Come experience a “closer walk” with Jesus as we learn together who Jesus says He is and who we are in Christ. We will meet six Tuesdays and you can come to one, a few, or all of our dates. Just come when you can and bring your Bible . . . that’s all you need. Bring a friend too! This study is for members and non-members of our church.